The Star Plus show, Yeh Rishta Kya Kehlata Hai will see a huge high point with Kartik and Naira making Dadi realize about the importance of Gayu’s marriage. Star Plus’ popular and longest running GEC show, Yeh Rishta Kya Kehlata Hai produced by Rajan Shahi’s banner Director’s Kut will see huge drama with Dadi (Swati Chitnis) getting to know of Gayu’s (Deblina Chatterjee) pregnancy. 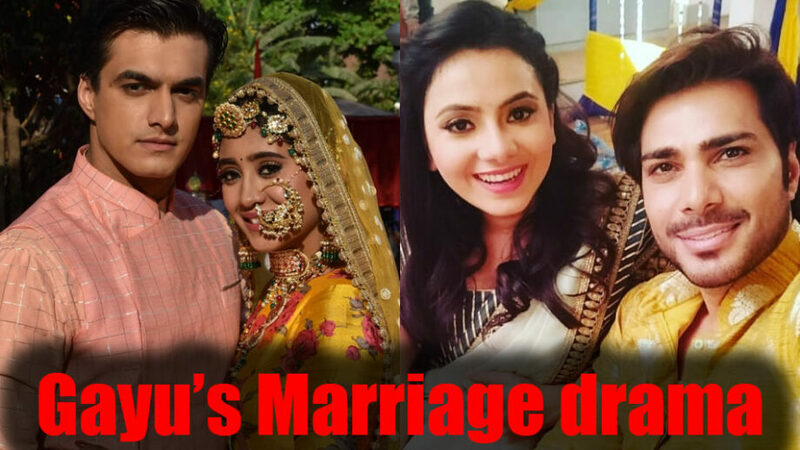 Well, hell will break loose, but as we mentioned earlier in an article, Kartik (Mohsin Khan) and Naira (Shivangi Joshi) will be the ones supporting Gayu and initiating her marriage with Samarth (Samir Onkar). Kartik and Naira will have an emotional talk with Dadi wherein they will ask her to think about the unborn kid that Gayu is carrying. Naira will also narrate the sorrowful tale of her losing her baby, and will ask Dadi to give a life to the kid that is growing within Gayu. This heated argument will take the story ahead wherein the family will be jubilant in carrying out the engagement of Gayu and Samarth. Will Dadi create more hurdles in the way of the marriage?